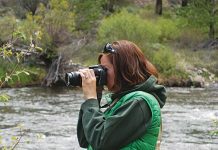 Galena Falls is an easy and popular hike. 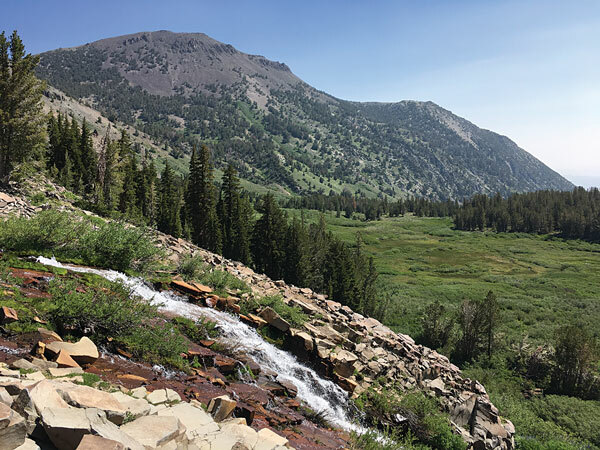 I’ve been told that the 2.5-mile jaunt along the Tahoe Rim Trail to Galena Falls is the busiest section of trail in the entire Humboldt-Toiyabe National Forest. The trail does have all the ingredients to be a busy trail: It’s fairly short, it’s easy without a lot of elevation gain, there are views of Mount Rose and it ends with a lovely waterfall. The trail is also located at the top of the Mount Rose Highway, making it the closest high-elevation hike to Reno. It’s also the first part of the hike to the top of Mount Rose. I arrived at the Mount Rose Trailhead at just before 9 a.m. to discover that the parking lot was already full. So I went with Plan B. I drove back to Tahoe Meadows Rim Trail parking lot about three-quarters of a mile toward Incline Village, Nev. This added a bit over 1 mile each way to the distance, but it turned out to be a blessing in disguise. 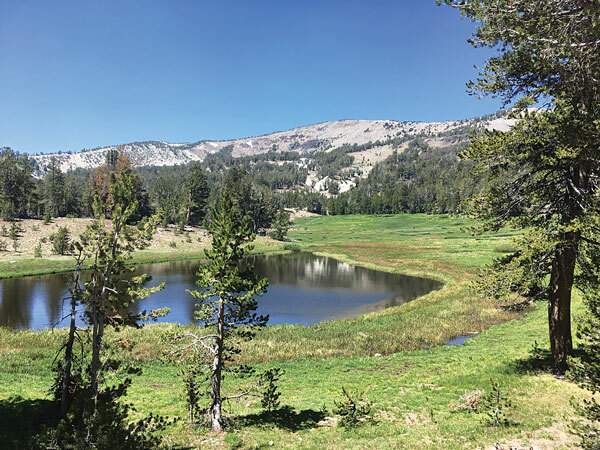 I followed the Tahoe Meadows Interpretative Trail to the Mount Rose Trailhead and passed meadows that were abloom with waves of elephant heads and shooting stars. 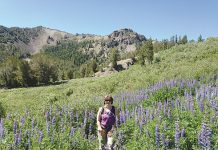 Mount Rose Trail begins with a gentle ascent across a sandy slope dotted with paintbrush, lupine and phlox. The views include Tahoe Meadows below and Lake Tahoe. After about a half mile of easy climbing, the trail reaches a saddle with a more dramatic vista of Tahoe. The trail then reaches the saddle and begins a long traverse along the slope of Tamarack Peak. Over the next 2 miles, there is little in the way of climbing. The trail crosses over the path of a recent avalanche, which tumbled through last winter carrying trees with it steeply downhill to a now-shimmering Tamarack Lake. Views of Mount Rose pop up in the gaps between the trees, as well as the deep, lushly green Galena Canyon. A view of Snow Pond from the Mount Rose Trail. The true highlight of this section is the trees. This trail enables those who are not up for a long hike to see the high-altitude flora that usually requires a lot more effort to reach. 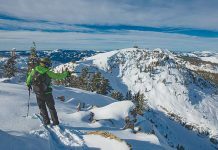 Here at more than 9,000 feet you get ancient mountain hemlock, enormous lodgepole, western white pines and the region’s highest tree, whitebark pine, which is frequently accompanied by lots of Clark’s nutcrackers, a mid-sized gray and black bird. 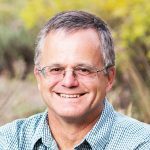 The whitebark pine and nutcracker are codependent. The nutcracker really likes whitebark cones. When they bury thousands of whitebark seeds in a number of different caches in the dirt, they often forget some of them, which later grow into whitebark pine trees. Ah, the power of forgetfulness. Eventually, at just more than 2 miles, the trail rounds a corner and there it is — Galena Falls. It rushes down the red-rock slope in several braids of froth. From the bottom, just a few steep switchbacks on the TRT leads to the top of the falls where you can enjoy your lunch next to the water. 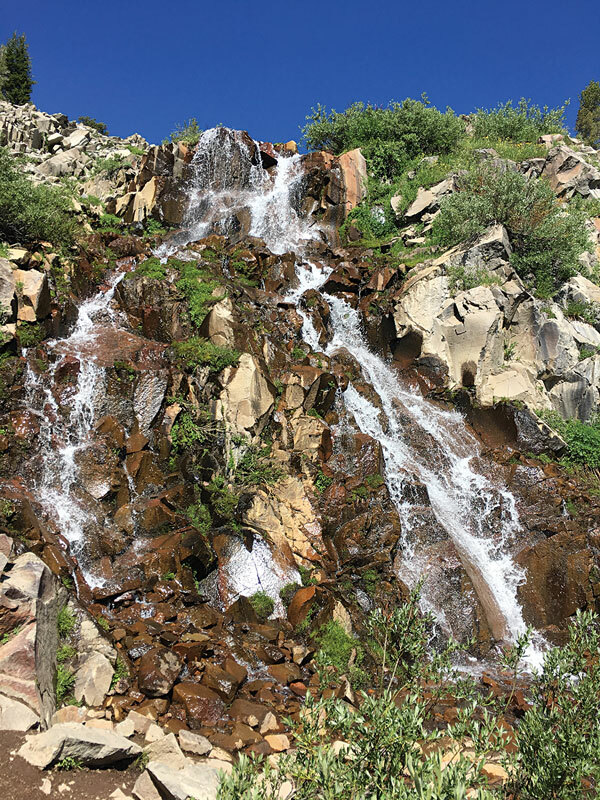 The interesting thing about Galena Falls is that until this section of the Tahoe Rim Trail was built about 15 years ago, it was unknown by most hikers. The trail to Mount Rose’s summit followed the old road up to Relay Peak for the first 2.5 miles then dropped down a sharp descent before heading up steeply to Mount Rose. The falls were tucked around the corner and not visible from any trail. It was hard to imagine they even existed because there is no major stream headed toward the cliff. The water source begins in a spring surrounded by thick brush just a few hundred yards above the falls. Based on the crowds I saw though, the falls are certainly on everyone’s radar now. Galena Falls with Mount Rose in the background. From the falls you have several options. First, you can continue on the Tahoe Rim Trail, which climbs up through a pleasant open forest and crosses the old trail up to Mount Rose. The trail then climbs for 2 miles to Mount Houghton. It’s a hefty ascent, but it’s a beauty of a hike winding past volcanic outcroppings and small groves of enormous whitebark pines to a jaw-dropping view at the top. Another option is to climb Mount Rose, Tahoe’s third highest peak at 10,776 feet. The good news is you have already hiked half the distance to the top; the bad news is you have a lot of elevation gain in front of you.